Lou Landsky: If you care about us, would it kill you to show it? Rachel Flax: "Us"? When did YOU and *my* children become "us"? You're just YOU, Lou - me and the girls, THAT'S "us"! Lou Landsky: I was talking about you and me. A delightful period piece set appropriately in 1963. Appropriate because Charlotte (Wynona Ryder), like the nation, is about to shed a little of her innocence and face some difficult realities. Cher, Ryder and an adorably young Christina Ricci are perfect as a single parent family. 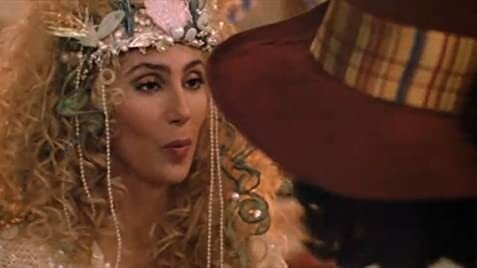 Cher, in her best work ever, including Moonstruck, is a free-spirited mom who only cooks finger food because anything else is too much of a commitment. Ryder, who narrates the film from her character's perspective, is a high school student who, despite her fervent wish to lead a devout life, falls in love with the local handyman. Ricci is the youngest, a champion swimmer who steals the whole movie with scenes like her pumpkin scene. (Watch it and you'll know what I'm talking about. It's unforgettable.) Bob Hoskins is hilarious as the shoe salesman who falls head over heels for Cher, family and all. Set in coastal Massachusetts, the scenery is breathtaking, and the idyllic depiction of life in a small town in the last days of American innocence is dead on. 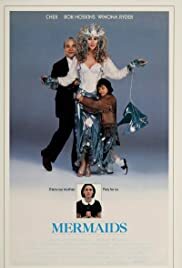 Director Richard Benjamin, who also gave us such charming films as Milk Money and My Stepmother is an Alien, rivals Penny Marshall and Rob Reiner with this gem. This film is perfection, an absolute 10. It's a magic potion that can make me laugh and feel good even on the worst day. I sometimes wish I could step inside a la Pleasantville and stay there.